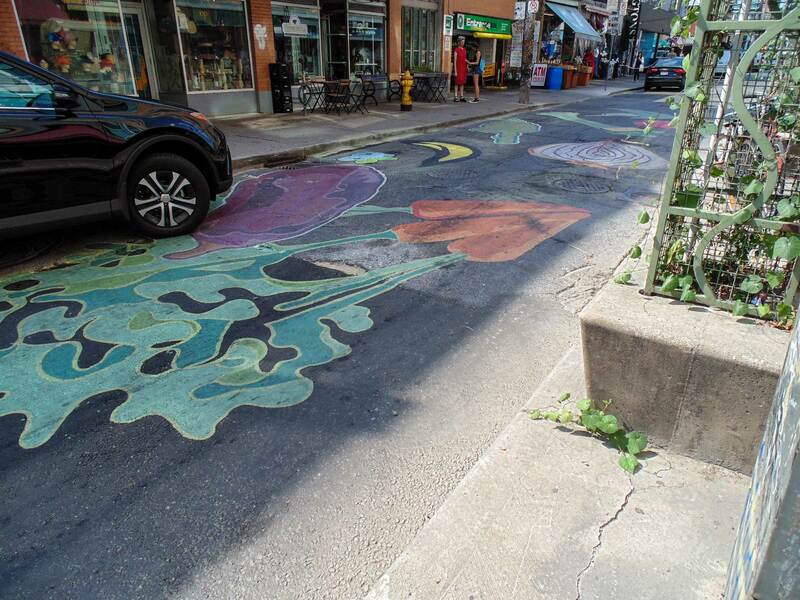 PHOTO BY SUMMER REID/GLEANER NEWS: The city’s first road mural was installed late last month on Baldwin Street in Kensington Market. Part of the StreetARToronto Road Mural program, the mural is the result of a collaboration between artists and the Kensington Market BIA. The mural was painted using latex paint, which is made to withstand weather elements and foot traffic for six to nine months. The City of Toronto launched the pilot project after a proposal to legalize road murals did not pass Toronto City Council. Four additional murals will be installed throughout the city under the project by the end of October.